This all-in-one kit includes pattern, fabrics, shatterproof mica ornament ball, pre-cut cork mittens & embellishments to make one ornament. 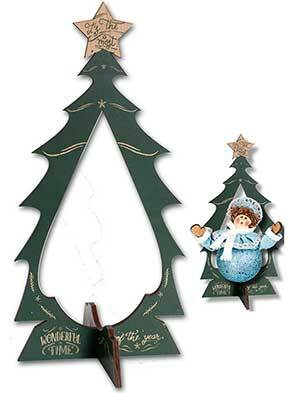 Also includes Chunkee Buttonz� Engraved Wooden Santa Head & Mini Reindeer. Finished size 5". Make for yourself or great for a gift! Package includes gift label. Makes one.